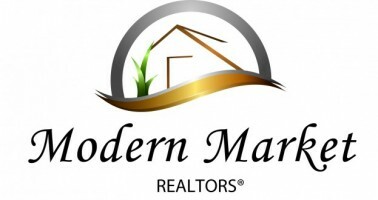 We specialize in “marketing” homes, not just “listing” homes. We do extensive research on pricing your home right to sell it in the quickest time making you the most profit possible in this market! We have a text service for drive by buyers – simply text a code to receive pictures and information on your home… instantly! We hire a staging company to do a staging consultation on your home at no cost to you. We hold public open houses around your schedule, marketing them aggressively. We use exceptional listing descriptions to give your home the exposure it deserves. We utilize today’s technology to make sure that your home is in front of the entire online community via websites, search engines, social media, virtually everything that is being used by buyers to search for homes. We have done the research to see where the buyers are, ultimately, your home is found each and every time a buyer is searching! We use all of these tools to keep only very serious buyers scheduling showings inside your home. There is no need for you to be inconvenienced more than necessary, we want to sell your home, not let everyone just wander through. This is one way we make the process less stressful on you as a seller. Everything we do, is to make sure your lives can go on as normal as possible throughout the home selling process. Let us take care of the details while you handle day to day life as uninterrupted as possible. Not all companies are alike, we work as a team therefore you get 2 realtors for the price of 1! We don’t do the bare minimum that many realtors do- I like to call it the 3 “P’s – Put your house on the MLS, Put a sign in the yard & Pray. We go over and above what is expected and this makes your house outshine the competition – which in the end makes you more money and more importantly what matters most to us – makes our clients come back to us and refer their friends and relatives! We don’t want to just “list your house”, we strive to be your “Realtors for Life”! Read what some of our past clients have had to say about working with us. Contact us to schedule your listing appointment now!